If u need better mileage den go for Baleno.. but if u need better performance, and features like rear ac vent, foot rest then go for i20. Both are good, depends on individual choice. I20 has better build quality whereas baleno has low maintenance cost and service cost. For diesel go for i20, for petrol baleno. Both of them are fantastic cars. Iron used for I20 outer body is heavier than baleno. It makes you more safe during your drive. This is the result of crash test. Go for elite i20 if you are looking after good built quality and better features. Though average would be handy subject to your handling in traffic and free roads. On the other hand Baleno is good on average with compensating build quality. I would recommend elite i20. Have been driving this for 2.5 months in Delhi traffic and on highways. Q. How it's suspension behave in rough road? Q. Which model I should prefer in consent of value for money either Sports Plus dual tone or Asta optional in petrol? Q. Sir, garage size is 11 feet long and 7.5 feet wide. What size car do I purchase? Q. 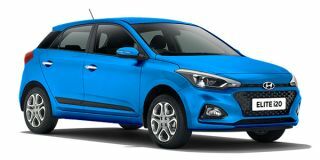 Which is better Elitei20 or Grand i10? Q. How to switch off interior lights if it is automatically on at night and I not able to switch off?